The Acupuncture Pregnancy Clinic has been helping mums to be for nearly 10 years. As fertility specialists, they guide women through natural conception and IVF. 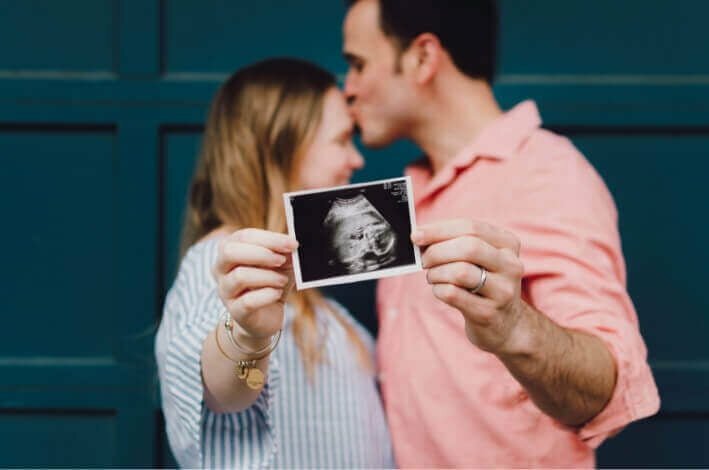 After that life-changing positive line appears, they support their patients during the entire gestational period. By using acupuncture and Chinese medicine treatments, the Acupuncture Pregnancy Clinic assists in creating the miracle of life. They help keep mum and baby happy and healthy. Providing services across Melbourne, Sydney, and the central coast, this clinic is an established leader in its field. I had the pleasure of talking with Delia McCarthy, a senior fertility practitioner at the Acupuncture Fertility Clinic. She loves Power Diary for its “effectiveness and simplicity”, but remembers a time when she was hesitant to leave the paper diary behind. Like all conscientious health practitioners, Delia sees protecting patients’ privacy and confidentiality as a key professional responsibility. Before switching from a paper diary to a cloud based practice management system, Delia had to be sure that above all else, her sensitive patient information would be protected. We couldn’t agree more. After all, beyond running a business and providing great service, your #1 concern should be protecting your patients’ privacy. We respect that. That’s why data security is one of our top priorities. Our system was built with that in mind. From his mouth to this blog, our Chief Technology Officer and co-founder Paul Adler promises that “security is at the forefront of every single technology decision we make.” You can trust that we really mean that. It’s a great question. We’ve invested in the best of the best when it comes to how we store your information. Our servers are housed in a digitally and physically secure environment, safeguarded by firewalls with redundant power and cooling systems. All data is backed up every 10 minutes. An additional offsite backup to a geographically separate storage facility happens every night at 1 am. On top of that, our servers’ infrastructure boasts an average annual uptime of 99.99%, exceeding industry standard. Additionally, security and monitoring processes operate around the clock, with contingency plans in place should anything unusual be detected. As you can imagine, we keep a few of these security protocols hush hush. Naturally, we also comply with the relevant safety and security regulations that govern the management of sensitive health information. Good to know, right? First, we encourage you to think of your Power Diary username and password the way you would a bank card and pin number. Don’t give it out. Don’t write it on a sticky note attached to your computer. Be smart about where you keep this information. Power Diary allows you to add an unlimited number of username and passwords for free. It’s important that you create a unique username and password for each user accessing your account. This holds everyone accountable, and also means that you can check Power Diary’s Log File, and see exactly what each user has done in your account. We also encourage our customers to be mindful of their User Access Controls. From day one, make sure you set the correct permissions for each staff member. While you may want a senior clinician having full access to all patient information, you might be hesitant about letting a new hire navigate freely within the system – and that’s ok.
Or maybe you want to give a receptionist full access to all features associated with appointment booking, but keep them out of confidential patient file uploads – totally doable. With feature specific user access controls, we put the power in your hands. Now hopefully, that made you breathe a bit easier when it comes patient privacy. Let’s get back to Delia and the Acupuncture Pregnancy Clinic. When asked what their clinic has observed since using our practice management software, Delia was clear on the benefits. Let’s break this apart a bit by looking at an example scenario. Pretend you’re a front desk receptionist and using an old-school paper diary . A current patient is scheduled for an appointment for 1:00 pm on a Monday afternoon, but texts her clinician to cancel at 12:30 pm that day. Being that this patient has met with her clinician for the last decade, they’ve exchanged personal contact information, so a text cancellation isn’t out of the ordinary. Because this was the clinician was out to lunch when she received the text , she decides to squeeze in jobs while she’s out and completely forgets to update you, the receptionist. So, when the patient doesn’t show up, you do the only reasonable thing you can do: you check the paper diary, see no cancellations noted, and then call the patient. The patient answers, confused about why you’re bothering her after she canceled. You feel foolish, the clinic looks disorganized … you can guess how this plays out. I’d really like to thank Delia for taking the time to talk with me. She gave me insight into how Power Diary powers their business, as well sharing the initial anxieties she felt when moving from the old type of paper system. Stories like Delia’s are what Power Diary is all about. We love helping health practices run better! Want to learn more about using Power Diary to serve multiple locations? Shoot us an email at support@powerdiary.com, and we’ll schedule a free personalised demo.